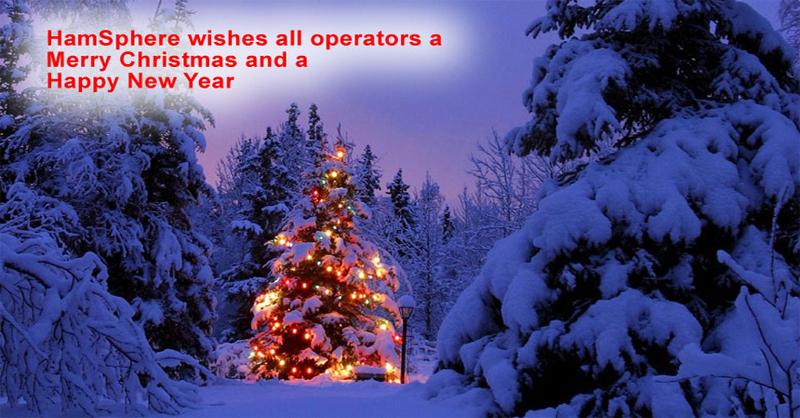 Dear HamSphere Operators, welcome to the December 2015 Christmas Edition of the HamSphere Newsletter. Season's Greetings for this time of year. HamSphere 3.0 is the entry level system and we have seen constant activity on this system over the past year with a total of 115690 logins only during Nov 2015. For comparison we had 65307 logins on the HamSphere 4.0 system during the same period. 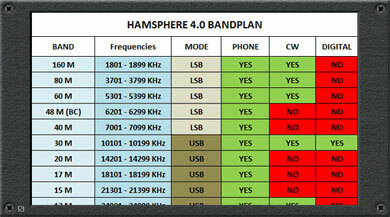 HamSphere 3.0 is run on four servers and it will remain as the entry level system for a foreseeable future. 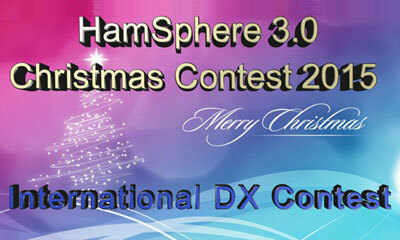 We have decided to keep two our our most popular annual contest on HamSphere 3.0 namely the "HamSphere 3.0 Christmas contest" on 26 Dec and "HamSphere 3.0 International DX Contest, Phone" in February. More info about these contests further down. During the Autumn of 2015 we have experimented with the S/N values of the HamSphere 3.0 system. You should notice a slightly lower noise level overall. NEW - Exciting Propagation Model Enhancement on HS4. In the constant endeavor to make HamSphere 4.0 more and more realistic and accurate we have tweaked the HS4 propagation model to take it even closer to the real HF propagation as offered by Mother Nature. Till now the existing propagation model on HS4 was taking into account most of the vital parameters related to solar activity influencing ionospheric behavior. However, now with this latest tweak, HamSphere 4.0 propagation will also take into account finer points of Solar Declination, Analemma (eccentricity of the Earth's orbit around the sun) which influences the effects of solar ionizing radiations in terms of time and angle of incidence. HamSphere 4.0 will now start using a different coefficient table called URSI co-effs. URSI coefficients are based on actual physical measurements made at more than 45,000 points geographically spread across the surface of the Earth (at points located both on land masses as well as oceans). The use of URSI coefficients in the updated propagation model of HS4 will enable far more accurate modeling compared to what we have so far. Not only the geo- parametric influencers, but also the solar position vector parameters will become more accurate after the new upcoming tweak. In turn, the ionosphere which is simulated on HS4 will now have an uncanny resemblance to the real ionosphere in terms of dynamic shifts in charge density gradient, slab thickness and height. In a nutshell this propagation model tweak will almost completely obliterate the minor differences in comparison to nature that may still exist on HS4. Operators will provide an even more realistic experience. The propagation related difference between the real and the virtual on HS4 will get even more blurred. This tweak is in the direction to achieve total perfection. Long Path (LP) will happen next. DX Cluster Map v1.0 provides a visual map representation of the DX Cluster. The "Antenna Tower" markers have different colors from black to red depending on their actuality. The map is auto updating with smooth rendering without any redraw flickering. Holding or clicking the mouse over a station gives spot data. Operator can zoom in and out and move the maps position. 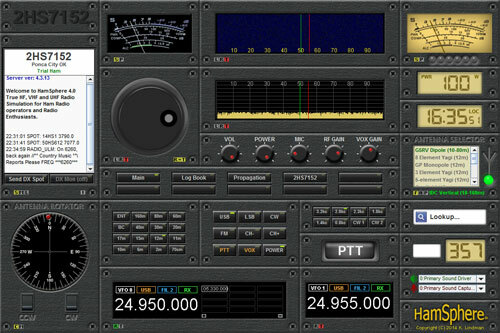 This is the Plug-In version of the HamSphere QSL Editor. Upload and edit your QSL cards while operating your transceiver. Supports Drag-and-drop, Pre-View and Font-Size-Color Picker. This version works in Windows and Mac.We are working on a Linux version which will be released later. The Image Viewer plugin allows you to have handy reference charts, maps, lists, and diagrams available right on your HS 4.0 Transceiver. Choose from the included Band Plan or DX Monitor Map or select a .jpg, .jpeg, .bmp, .png, or .gif file from your computer to display on this large plugin. New features for the Image Viewer plugin: -- You can now load images that are stored on the Internet rather than just those stored on your computer. If you share your rigs between computers you will be able to have the same images on all those computers just by linking to images that are stored on the web. You can also share the web address of these images with your HS4 friends and they can have the same images on their rigs. -- If you have an image on your computer or on the Internet that gets updated, you can click on the new "R" button on the Image Viewer to tell it to Reload the image to get the latest version while you are still operating the Transceiver. -- If you link to an image on your computer or on the Internet that is updated regularly, you can use the new "A" button to set the Image Viewer to Automatically Reload the Image every 5 minutes even as you are using your Transceiver. I think these new features are going to lead to some really innovative ideas from some of our users. Whether from images that they create themselves or from ones found on the Internet, I think we will see some wonderfully fun and useful ideas. Have fun! DR2W HF Propagation prediction module. Supports Hours, Continents and Bands. Auto updating depending on your Band choice. Download it for free from the Web Shop. This is an early Christmas Gift to all HamSphere 4.0 users. •	Objective: For HS4 operators around the world to contact other HS4 operators in as many U.S. states. Canadian provinces/territories, and countries as possible utilizing only 15, 17 or 20m Meter SSB. •	Multipliers: 1 multiplier for each U.S. state, Canadian province/territory, and non- US/Canadian country worked/confirmed on each band. •	Winners: Top 3 scores in the World, and top 3 scores each continent (North America, Central/South America, Europe, Asia, Africa, Oceania, Antarctica). All other scores are honorable mention. •	Contest Log Submission: In accordance with HS4 Contesting Policies. The HamSphere DXHC DX HamSphere Club has the honor to invite amateurs and enthusiast to participate in the annual XMAS-Contest on HamSphere 3.0. We have decided to keep this traditional contest on our Entry Level system HamSphere 3.0. The contest starts 26 Dec 2015 at 08:30 UTC and goes on for 2.5 hours. Welcome! 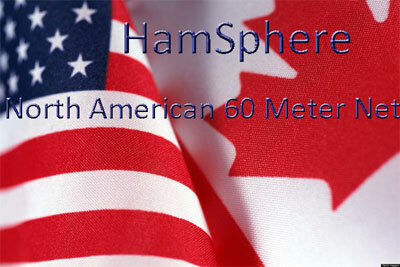 The HamSphere DXHC DX HamSphere Club has decided to keep another of the 3.0 traditional contests. This is an annual contest and this particular one starts on 20 Feb 2016 for a total of 24 hours. Welcome! 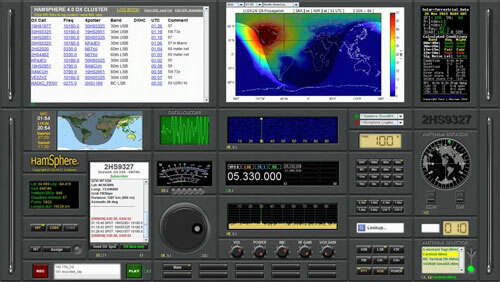 India DX Net (a.k.a IDX Net) is into its third year of operation on HamSphere. Since its inception on 2nd August 2013, IDX Net has been running on a daily basis on HamSphere 3.0 platform. The objective of IDX Net is to disseminate information regarding both HamSphere 3.0 and 4.0 platforms. It is a discussion net with a global reach. Not only is the net regarded as a source of authentic information pertaining to HamSphere, it also regularly dwells into topics related to HF Radio Propagation, Antennas, Operating practices, Ethics, HF Transceivers, Station equipment setup and various other matters related to Ham Radio. Our strength stems from the vast pool of knowledgebase and collective wisdom of participating Ham Radio operators. Although the topics discussed on IDX Net are more relevant to HF radio and HamSphere 4.0, we have consciously chosen to continue our net on HamSphere 3.0. This is a deliberate decision since we believe that new operators prefer to start on HS3 to get a better understanding of HF radio before venturing into HamSphere 4.0. Hence we consider it to be our obligation to the HamSphere community to maintain our presence on HS3. However from time to time we conduct net sessions on HamSphere 4.0 also. HamSphere 4.0 has always endeavored to provide an excellent and realistic virtual HF communication environment with a carefully modeled propagation platform and real-time updates. The virtual HF antennas on HS4 feature unparalleled performance with ultimate accuracies and uncanny realism when compared to the real world HF antennas. To go a step further, HamSphere has recently updated its propagation model to ensure an even finer experience for operators by adopting URSI coefficients. To leverage the experience and extract maximum mileage from this wonderful setup, it is even more important now for the operators on HS4 to acquire a better understanding of HF propagation. To cater to this need, India DX Net plans to conduct special sessions and on-air workshops to familiarize operators with the finer nuances of HF propagation. Starting from early December 2015, IDX Net will devote more time and emphasis on discussions related to HF radio propagation. From now on, "India DX Net Newsletters" will carry more articles to acquaint readers with propagation related issues. The "IDX Net Newsletter" is published with approval from HamSphere administration at the highest level. The newsletter is available on a subscription basis and is mailed to the subscribers on our mailing list. We have a large subscription base of active users. The next issue of IDX Net Newsletter will be mailed out by the end of December 2015. Those who have missed subscribing so far may do so by clicking on the following URL. IDX Net Newsletter is a structured newsletter. Although we pick and choose many interesting topics for inclusion in each issue, it would never be a substitute for the detailed IDX Net live on-air discussions. It is practically impossible to capture approximately 100 hours of live discussion each month in a newsletter. However, every issue of newsletter carries the following features and much more. IDX Net discussion summary snippets. Frequently Asked Questions on the Net. HamSphere 4.0 Plugin and Antenna reviews. A featured Antenna article every month. 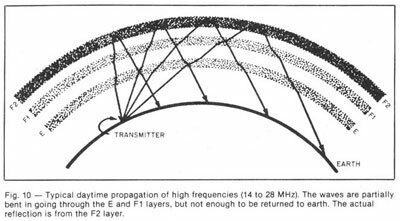 HF Propagation fundamentals (various topics). Monthly HF Propagation review and forecast. Tips for effectively operating HS4 and HF Radio. Getting started with HamSphere for new users. For live discussions, please come and join us on IDX Net on HS3. We will be pleased to take up any questions or topic of discussion brought up by you. 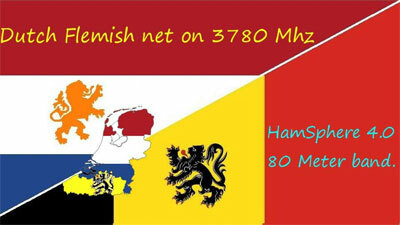 We are launching a Dutch Speaking net on the Hamsphere 4.0, freq. is 3780 MHz on the 80 meter band. Friday nights around 19:00 UTC ( 20:00 local time ). The 60 meter net was established by two Canadian stations 9HS158 Dean and 9HS299 Terry in Ontario Canada. They were old friends and found each other on Hamsphere 4.0 but had a hard time establishing reliable connection because of their close proximity. It was recommended that they use NVIS ant on 60 meter which resulted in a reliable connection. They decided to meet on 60 Meters every day @ 00:00 UTC to discuss their daily activities. Soon several stations discovered this daily contact and asked to join in a round table format of their activities and solutions to technical issues using HS4 software. This round table format evolved into a formal net with 9HS299 as Net control. KC3AZT Steve would be an alternate controller on days 9HS299 was unavailable. This arrangement continued for several weeks with up to 15 stations checking in During the Monday to Thursday net. KC9HH Harold , 2HS2020 Rich, 2HS4482 Jami, and 2HS3927 Jon act as net controllers on this formal round table format discussion net. Many stations participate on a daily basis and several technical issues in addition to daily activities are discussed. Any station is encouraged to join the net and enjoy the information exchange that takes place. See you on the 60Meter net soon. 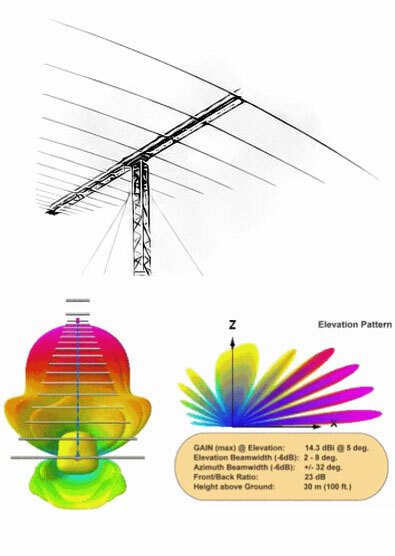 This is a formal Traffic Net designed to promote use and enjoyment of the 160 Meter band on HamSphere 4. Its purpose is to increase operator training and proficiency in delivering and receiving radio traffic in the form of Callsigns, Signal Reports, Names,Antenna, QTHs, and official business for the Net. Confirmations and accuracy required. Propagation models suggest that receptivity is restricted to North American States, Canadian Provinces and perhaps Central American countries at certain times of the year. This is a fast-paced, structured net. Comments are welcome here in THE BUSINESS ROUND. Please restrict your content to HamSphere 4 North America 160 Meter Net BUSINESS. It meets on 160 meters 1860 MHz from 0300-0400 UTC (2200-2300 EST) on Mondays and Thursdays. 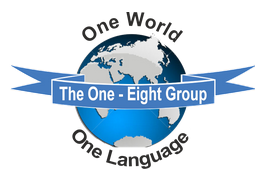 The 18 group has now been operation for 1 year, and we continue to draw new users on trail or subscribed into the group. The Net controller have been joined by 2 new stations 43HS2419 Kevin and G0MOK Robert, and they are a very welcomed addition to the team. We now have a different Net controller on each night 7 days a week 365 days a year. The 18 Group Net controller will be holding special nets on Christmas Eve Christmas day and Boxing Day for those who live alone and want to spend some time having fun on the net. Since the 9th of May 2015 we have a new hardworking and organised crew on HamSphere 4: The HamSphere Late Night DX-gang, founded by Georg BARBARY (ON8AIR). The most important target of the group is to generate more activity on HamSphere 4. A member of that ‘gang’ is called a NightHowler or a Wolf. Ladies Night-activity (special attention for the female members of the gang), The DreamTeam-activity (hunting football-QSL), Back In Time-QSL (‘what was your first radio?’), the Magic Word-activity (find the 5 letterword by hunting NightHowlers on HS4), Forgotten Bands-activation (e.g. 27Mc), DigiMode-activity, several DX-peditions and of course their Late Night DX-gang contest. The Hampshere 4 Late Night DX-gang helps out new stations on Hamsphere 4, even if they don’t have the ‘50 countries award on HS4’ yet. That new station can become a ‘Novice Howler’. A Novice Howler is training to win the ‘50 countries award on HS4’. b. 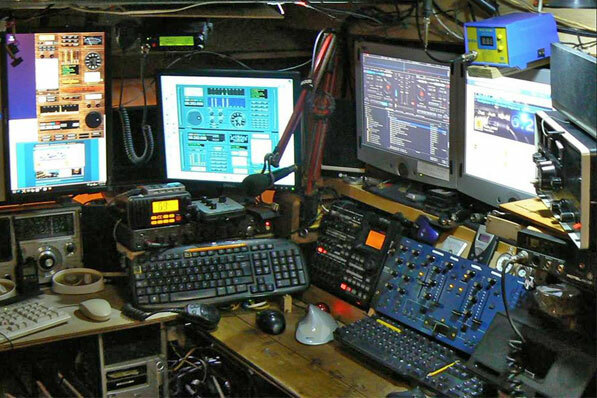 A NightHowler can bring new DX-stations on HamSphere 4. If that station decides to wait to become a ‘Novice Howler’ or a full-member, he/she will receive a special QSL-card with our ‘helpers-logo’ on it. c.	The full member or NightHowler: All stations that have obtained the ’50 countries award on HS4’ can become a NightHowler. The full member will receive several QSL-cards, a membershipcertificate and full access to all the activations. In addition to bring more activity on HS4, the NightHowlers are also working on better operatorskills. That’s why they have created a huge packet of Operating Practice-rules (can be found on their facebookpage). For the moment this gang has about 135 HS4-users in their Wolfpack and is organised by a board of directors who decide weekly about new activities. 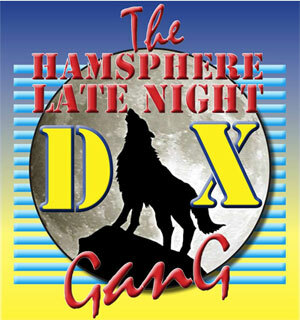 More information can be found on the special Facebook page: ‘HamSphere Late Night DX-gang’. 73’ de Late Night DX-gang. WORK SANTA CLAUS ON 5 DIFFERENT BANDS AND WIN YOUR PERSONALIZED NIGHT HOWLER-CALENDAR!! ZL3MA Graham Kingswell is Santa's helper and sends out his special 'Santa is calling...'-QSL-card. Work ZL3MA 'Santa Graham' on 5 different bands (on different days - see rules) and win your personalized Late Night DX-gang CALENDAR for 2016. This calendar counts 12 pages (as there are 12 months in a year, lol) with on each page a special picture/design with your callsign and/or picture on it. This calendar is a real must-have collectors-item for all Nighthowlers. 1. Only for members of the Late Night-DX-gang AND all QSO must be done on HS4!! 2. Date: 1st of December 2015 (00:00 UTC) till 31st of December 2015 (23:59 UTC). 3. Work ZL3MA on 5 different bands during this period and collect his 'Santa is calling...'-QSL-cards. 4. Pay attention: Only 1 band per day... so don't ask Graham to jump to different bands after your QSO. 5. Send those 5 different band-QSL-cards to: info@latenightdx.info (not before first of January 2016) and receive your personalized calendar. Success... and watch out our page for more Christmas-games on HS4! At the time of publication of this newsletter, we are witnessing a dynamic shift of parameters affecting HF propagation around the world. It does not mean that the conditions are adverse but perhaps a little different from what we were used to over the last several years. This is quite normal and natural. HamSphere 4.0 replicates these physical phenomena diligently and behaves in a manner similar to what nature provides us in the real world of HF radio. With the latest enhancement of the HS4 propagation model which now utilizes the URSI co-efficient tables for global normalization, the propagation behavior on HamSphere 4.0 has become even more interesting with greater transition smoothness and better geo-spatial resolution. Now in December 2015, the Smoothed Sunspot Number (SSN) which is a major player in ensuring HF radio propagation is on a downward slide. Without the solar activity which results in continuous ejection of large amounts of electromagnetic radiation and sub-atomic particles from the sun, HF radio communications would never have existed. HF radio is solely dependant on the presence of Ionosphere which is a set of concentric spherical canopies of electron dense charge layers around the globe. These charged layer canopies are normally at heights varying from 90 Km to 350 Km above the surface of the earth. The surface of the Earth and these layers form a spherical duct which allow transmitted HF signal to travel around the world by the process of multiple to and fro reflections. As we mentioned earlier the SSN is gradually falling at this time and will continue to fall for a few more years before it reverses trend and starts rising again. This is called 11 year Solar Cycle since the rise and fall of sunspot numbers follow a 11 year cyclic pattern. As the SSN increases, the Ionospheric charge layers become denser. Similarly as the SSN falls the ionosphere becomes thinner and less dense. This is precisely what we are witnessing now in 2015 when the sunspot cycle has started to enter the ebbing slope of its cycle. There is nothing to be alarmed about. However, we must understand the ramifications of these natural phenomena and leverage it to our advantage. As seasons change we change out clothing and our dressing style. Similarly, we as HF radio operators need to change our operating styles and band preferences to suit the ways of nature. We need to flow with the tide. Now we come to the vital question. What do we need to do as SSN goes down progressively and we move further into winter in the northern hemisphere? We will try to provide some pointers on what should be done to continue having a fun experience on HamSphere 4.0 and HF radio. Not only this, but we can perhaps prepare ourselves to work on the top bands more consistently and make exciting contacts on these bands which were not possible earlier. As HF operators we could attempt to achieve some of the difficult milestones, awards and records which would not be possible without the reduction in SSN and opening of the top bands. However, this does not imply that the other higher frequency bands would die out. No, nothing of the sort will happen. The medium and higher bands will also be available for great world-wide QSOs but perhaps the time of openings and the duration of openings will alter or get curtailed. This too will be interesting as it will knock off the monotony and add some mystery and spice to these bands. Animation of propagation gradually opening up on 60m band in December 2015 for a location in central Europe. * As we move through winter the sun passes over Southern Hemisphere. * Solar radiations fall at oblique angle on Ionospheric layers in the North. * Oblique incidence means lower radiation intensity and thus thinner ion density. * Near the North Pole ionization is very thin due to tangential angle of radiation. * Lower ionization means lower Ionospheric refraction loss at low frequencies. * Hence the top band skip attenuation is less compared to summer months. * Solar winds hit Southern Hemisphere on the daylight side and it flows around Earth’s surface. * Outflow of solar wind happen at the night side of Northern Hemisphere. * The outgoing turbulent solar wind results in pulling away of geo-magnetic field lines. 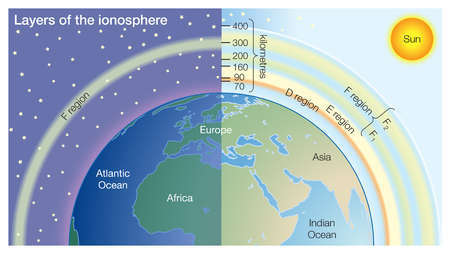 * The elevated magnetic lines on the night side of north hemisphere elevate the Ionosphere along with it. * The winter night time F-layer height may increase to as much as 800-900 Km. * The elevated night-time F-layer means longer distance coverage for each skip. * During ebbing SSN part of solar cycle which we witness now, the ionization density reduces further. * Top band frequency signals get easily refracted by the night-time F-layer. * There is no hindrance due to D-layer or E-layer during night. 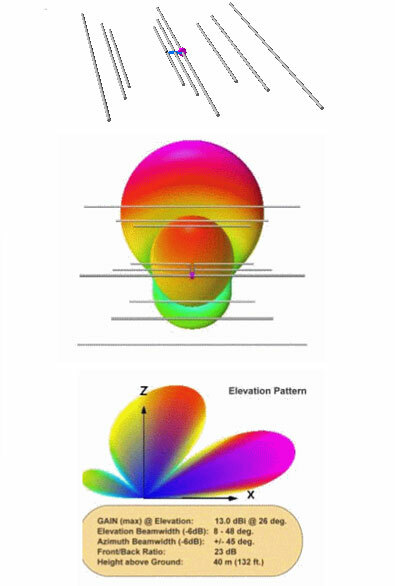 * Due to thin ionization, the absorption threshold frequency is far below top bands. * Hence low takeoff angle top band circuits become sustainable with minimal losses. * Low takeoff angle means large single hop distance coverage. * Additionally, the 800-900 Km (as against 350 Km) elevated night-time F-layer allows longer hop. * The net result is a longer range coverage on top bands during winter nights in northern hemisphere. * The bands that are most favorable for leveraging these phenomena are 160-80-60m bands. * Highly enhanced propagation during night on top bands. * North-South propagation circuits gain most from these phenomena. * Low takeoff angle antennas significantly enhance propagation due to longer hops. * East-West circuits at northern latitudes may not gain too much from the reduced ionization density. * East-West circuits will however draw advantage from the elevated night-time F-layer. * East-West high latitude paths near the north may fail due to propagation path passing close to the North Pole where the ionization density is extremely thin. * Top band openings would be significantly enhanced between North and South America. * Top bands circuits between Oceania and North America or Europe would open up. * Top band circuits between southern parts of Africa and the entire northern hemisphere will open up. * These top band openings will be very pronounced from the months of December through February. Elevation of magnetospheric field lines due to solar wind on the night-side of Earth resulting in elevated F-layer. Happy hunting and happy top band DXing!!! First time on Hamsphere and totally amazing expedition made by Graham ZL3MA was done on 20 October until 27 October 2015. Graham worked on both platforms as time allowed. Additionally he worked with Basu on the IDXN. 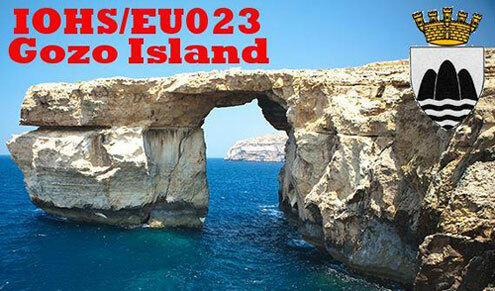 Gerard 19HS190 worked the special station IOHS/EU023 from Gozo Island. He was active two days 29-30 September on both of systems. 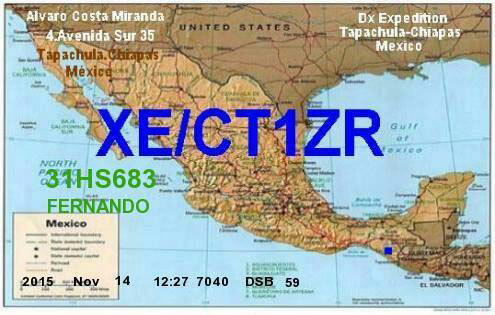 XE/CT1ZR Alvaro is still active from Chiapas in Mexico. You can catch Alvaro on both systems. Here are the results of the HamSphere "Independence day of Indonesia Contest” Group 1 that was held 17 Aug 2015. The results are based on a properly filled out logbook and that power limitation were kept. We had a total of 177 participants performing 8790 QSO's. Congratulations to Andy SP2DNI who won Group 1 with the score of 396576. Well done indeed! 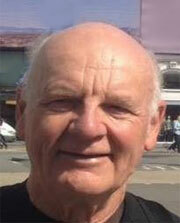 Andy managed to complete 278 valid QSO's, 215 multipliers and 5 Indonesian regions. Congratulations! A big thank you to Eko/YD2BEW who organized this contest. And of course a big thank you to all participants. Here are the results of the HamSphere "Independence day of Indonesia Contest” Group 2 that was held 17 Aug 2015. The results are based on a properly filled out logbook and that power limitation were kept. We had a total of 11 Indonesian participants. Congratulations to Junus YB0BP who won Group 2 with the score of 69708. Well done indeed! Junus managed to complete 117 valid QSO's, 73 multipliers and 5 Indonesian regions. Congratulations! Here are the results of the HamSphere 4.0 VHF/UHF Relay Sprint 29 Sept 2015. The results are based on a properly filled out logbook. We had a total of 51 participants. We have two winners who share the 1st prize. Congratulations to Andy, UT1ZZ and Dainius, M0HMJ who both won with the score of 49 valid QSO's, 23 multipliers and 1176 points. Well done indeed! 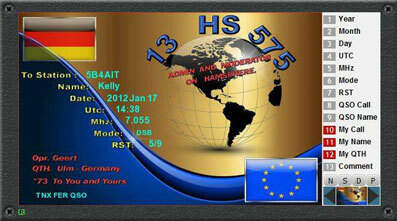 They will share the prize of 50 Euro and they will each be dedicated a UHF repeater in their QTHs. 4th-10th prize: DG7LAE, WB7ECW, 39HS135, UT2GW, YB0BP, 31HS688, 146HS486, 10 Euro HS Credits. Here are the results of the HamSphere 4.0 RDF contest. We congratulate the Epsilon team that managed to pinpoint the beacons with the score of 909 and won this contest. I was particularly impressed by their awesome accuracy on 15HS16 with only an error of 4km. Experience is the keyword here and for comparison I have added the "test results" from Basu who had one other op in his "testing team". Basu's result is outstanding and it really shows that the simulation system and antennas are performing flawlessly.Here are the results of the HamSphere 4.0 RDF contest. We congratulate the Epsilon team that managed to pinpoint the beacons with the score of 909 and won this contest. I was particularly impressed by their awesome accuracy on 15HS16 with only an error of 4km. Experience is the keyword here and for comparison I have added the "test results" from Basu who had one other op in his "testing team". Basu's result is outstanding and it really shows that the simulation system and antennas are performing flawlessly. Here are the results from the "Late Night DX Gang Worldwide Prefixes contest 2015" that was held 21 Nov. 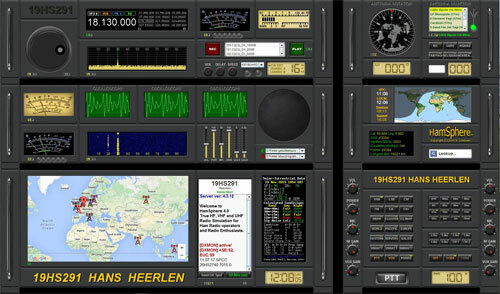 Here are a few examples from the HamSphere 4 Show Your Rig Facebook group The HamSphere 4 system is built with plug-in modules that can be used to build endless combinations of virtual Ham Radio Transceivers. Rig by 15HS15, Erwin in St. Gallen, Switzerland. Please note the new vertical Audio Control slider to the right. Elegant design by 2HS7152, Doug, Ponca City, USA. Doug has stacked the Bandscope and Waterfall together. Dual VFOs and S-Meters. Design by 2HS9327, Jon in Roswell, USA. Jon is using the new Free plugin DR2W Propagation in a prominent location of his rig to give him full overwiew of the current propagation. Here we see Hans, 19hs291 with a new concept of building many rigs in one and using "home made" feet. Really elegant solution where he divides the rig in six parts with different purposes. 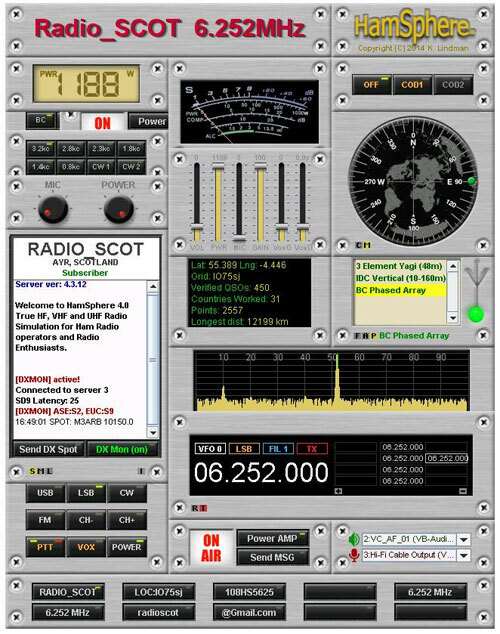 Here is an example by Paul, Radio SCOT active on 6252 as broadcaster. In order to fit all gadgets he has squeezed some plug-ins together which is fully possible. The result becomes remarkably good and compact. The new challenge in 2016. The world of the electronics industry over the last fifty years has undergone a complete transformation. Gone are the days of valves and soldering irons that were common place and found in nearly every ham radio shack. Gone too are the production lines which built your bulky electronic devices such as our TV sets or mantle piece radios. Well, perhaps some items are not gone entirely in everyone’s shack so this I do concede. However, for the average radio hobbyist the addition of a personal computer has now become the standard and preferred weapon of choice for some decades now. But let’s face the first challenge, what sort of programs are you running on your system? During my own working career a tremendous paradigm shift had occurred. This resulted in a complete transformation of most electronics devices within the consumer world. Who remembers their first mobile analogue cell phone? And who can remember the Radio Shack TRS80 or using the operating systems software such as Unix or Gary Kildall’s CP/M – if you can remember that then you probably and reluctantly moved onto Windows 3.1 O/S as well. That was your second challenge. Who remembers the big fanfare launch days of Windows 95 or the constant cursing under your breath when that dreaded BSOD appeared. The ubiquitous "Blue Screen Of Death" would awkwardly and inconveniently appear only when you wanted to demonstrate something to your buddies. But this all happened only in the last thirty years or so! Now step back another thirty years when shortwave radio stations were everywhere to be heard and found. 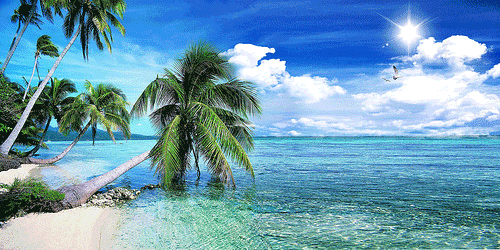 Did anyone spend their time listening to far away exotic places? We are talking of a time before TV in most countries and when Ham Radio was just stepping away from AM, switching to SSB mode. So now you're coming close to my Heyday where experimentation with SSTV meant that you sat in a subdued lit shack, closely watching a five inch screen, using a 5BP1 tube purchased with your pocket money from a war surplus store. You were thrilled and put up with those lagged persistence green phosphorous screens. Curiously you watched and tuned and adjusted your receiver to get the best picture on 10 or 20 meters Next great leap forward was when substrate modules and TTL products became common place and wave soldered products were flooding the market with products like the Robot 80. Connecting this unit up to your “rice box” you could receive instant pictures across the globe in broad daylight!. Perhaps you could turn your attention into such modes as RTTY or investigate AX25 protocols with Packet Radio or just keep up with plain CW practice. CW however was one of my favorite pastimes and many a low band DX stations in a contest or DX-pedition were easily worked in this manner. A phone operator (SSB) could take his chances in a pile up or simply miss many a DX country contacts because CW was, and still is, a completely different world where split frequency operation is the order of the day for most contacts. Now perhaps you might wish to try the AMTOR mode. When used, it would bring your shack alive literally. During the synchronization period it would fire up when you started typing at the keyboard. It could also really impress any visitors in your shack. Your whole radio set up would suddenly start bouncing to life to a methodical beat. 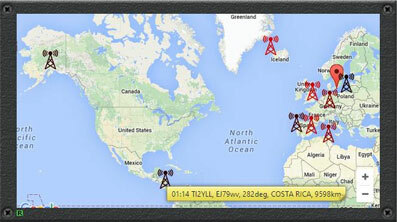 Now coming back into our present decade we see such modes as JT65 which boasts some very impressive results. There are no RST reports but here reports are measured in db's which is a completely new concept for you to grasp. And finally, the greatest change and challenge since 2014 has been Hamsphere version 4. CEO and founder Kelly Lindman has really impressed many with his talents in this radio software platform. There are too many impressive features to mention here. Every mode and function I’ve mentioned above are all found in this one virtual transceiver. Just consider the amount of equipment I’ve mentioned. In my day, it would fill up a good sized room. Now we have this wonderful Ham Radio, wrapped up into this one small portable package, completely flexible and fully customizable to your own design layout needs. Lets face it, everyone’s design taste is different. Now seeing it’s close to Christmas once again, may I wish everyone Seasons Greetings. You may wish to make the effort to ask Santa nicely this year for a new Ham Radio or perhaps gift a URL link, (HS4.EU) to your friends for a trial copy of Hamsphere 4. HamSphere 4.0 Show Your Rig Facebook Group. for your HamSphere 4.0 Transceiver and we are seeing them from a small compact size to a full screen size. The combinations are endless thanks to the moveable plugins for designing your own rig. Keep posting your rig pictures, it may end up being featured in our Facebook Group photo for a while. Some nicely designed QSL cards out there and we all enjoy seeing them but please keep the graphic content appropriate to suit all ages. For all Technical Support questions or suggestions, this is the group for these postings. We have several other HamSphere related Facebook Groups out there. Do a search in Facebook, find the HamSphere related group you want and click on "Join Group" and become a member. IRAN, SURINAME, ARUBA, BANGLADESH, IRAQ, URUGUAY, GUADELOUPE, MACEDONIA, ESTONIA. Hello and welcome back! So as to thinking up material I have decided this go around to concentrate on the techniques and equipment that is commonly found with our broadcasters in the 48 meter band. Each station has its unique style or format in which the operator finds will best suit their needs. Depending how the material to be broadcast lies on the station’s owner/operator. I prefer to start out with a certain era in time when the music would take the listener back to when they first heard the material. Reminding them of a time in their lives of say their first date or when cruising the streets with a new car. From the first series of MP3 files I then can build on one song at a time while adding a pause with a live microphone announcement. Every broadcast I desire to somewhat explore to let the package come together almost on it’s on. So in a way it is sort of considered ‘On the Fly ‘broadcasting. From time to time I may create an entire broadcast that the pieces of material are pasted onto an audio board track type program which I can then edit, add and or modify to my liking. The final product is then transferred over to one single file being whatever format I like. I find the MP3 format to be the best. As far as performing a show or broadcast on the fly style I have three separate audio producing programs which their audio output is feed into the computers sound card being ground zero. At this point I then can customize each component to blend in with the final channel which is the direct audio line to the 4.0 rig. As far as what audio producing programs are used is again up to the operator. I personally find using the factory installed WMP (Windows Media Player) works fine, it is dedicated only for my 20 minute station ID. The file itself is 20 minutes long which only the first 10 seconds or so contains the audio; the rest of the track is complete silence. By setting the function ‘Repeat’ it is now a continuous loop until I decide to either pause or stop the playback file. Another popular program is VLC which I have been seeing more of lately. It is a somewhat of a lightweight program which doesn’t consume lots of valuable CPU usage. It also contains nice features such as compression, an on-board equalizer and the spatializer. I found that using the spatializer feature gives me total control as far as running the audio dry or wet. Running a more dry type audio without any compression gives a nice overall smoothness to the broadcast. Paul Scott 108HS5625 has recently introduced to all broadcasters yet another powerful lightweight tool called VST. One can find many host or semi-small designed programs which coincide with VST giving the user multiple new paths to direct any audio from any program to wherever it needs to go, including adding powerful host such as twelve band equalizers, compressors, faders, mixers, it goes on and on! What’s nice also is that VST is a super lightweight component that barely consumes CPU and memory. The trick or learning curve is for the broadcaster to know and understand the capabilities of the computer which they are using for the broadcast itself. Things such as how many cores, the power of the processor, what are the memory capabilities and a few others are the basics of how to have these multiple programs running, not forgetting HamSphere 4.0 at the same time and being in sync with each other. Having a direct feed into one’s local Internet router or simply using Wi-Fi all has a final say on the performance and quality of the broadcast. Followed up by proper computer management the broadcaster will then have a clean strong foundation which can be built upon in time while continuously gaining experience and knowledge, but most of all creating an enjoyable environment for all. Here is a look at what our friend Paul (RADIO_SCOT) has been up to recently. Again one can use or run any type of audio from whatever program including component. It doesn’t necessarily have to be a file as we can see here the old school past methods and equipment are still in use today. From time to time I also swing a few old LP’s directly hooked into my forty year old Technics turntable, so again the limits continuously grow with technology always leading. From Paul Scott’s Radio SCOT FaceBook Community page. Now trying out the restored AKAI 40000 Reel-To-Reel Magnetic Tape Recorder as an analogue audio source. We will be playing a few tape recordings of classic dance, trance, hard house and club tunes recorded from vinyl during the late 1980's to Mid 1990's - Tapes were originally recorded on various machines including the AKAI, SONY, GRUNDIG and AMPEX units running at two speeds, 3 3/4 and 7 1/2 inches per second - Wonder if anyone will spot the analogue recordings during this evenings broadcast session? Keeping it Real (Or Reel to Reel) in a Virtual World, 73 de Radio_SCOT 06.252 MHz . Wrapping up this session of December’s BC Band News here is a new FaceBook Group you may be interested in. It was recently created by Dave, M6ENS (RADIO_NRG). “The BC Band stations on HamSphere 4.0 love what they do. These individuals broadcast content i.e. : Most genres of music, light entertainment and world news and documentaries for your pleasure. Without our SWLs around the world we would be lost without you. This group is dedicated to all of the listeners from all the broadcasting stations. So from all of the Broadcasters including my station Radio Phly, Here’s wishing you and your loved ones Happy Holidays and a very Merry Christmas! 73 and good listening. We have now received over 45000 Recommendations on Facebook – Thank you FB users. And Thank You to over 5000 followers on Twitter. Super!! Season Greetings for this time of year.